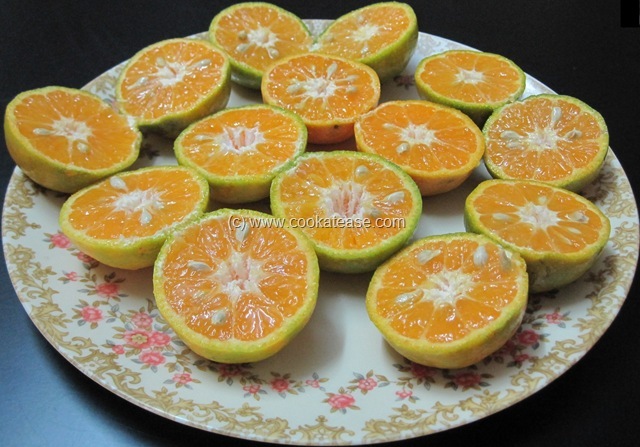 Orange is the only fruit to have the credit of representing a colour. 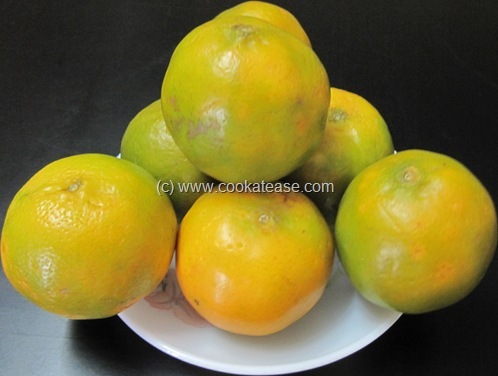 It is a healthy citrus fruit and contains more vitamin C and other vitamins. 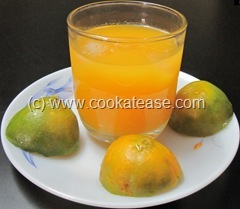 Many people prefer to have orange juice with their breakfast. I love orange juice with its small sections filled with juice. 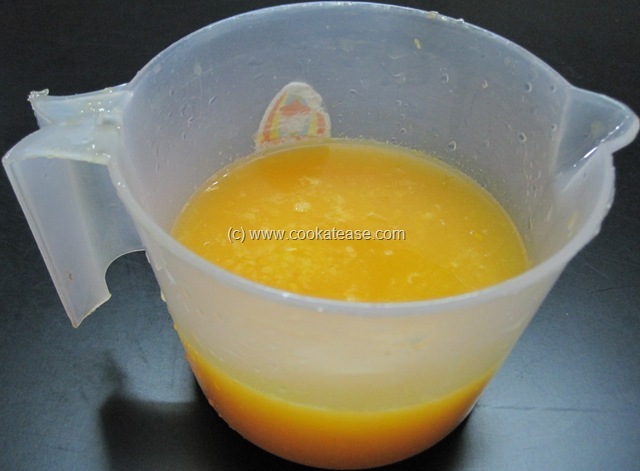 Here I have extracted orange juice using manual juice extractor as power cuts are frequent during summer in India. 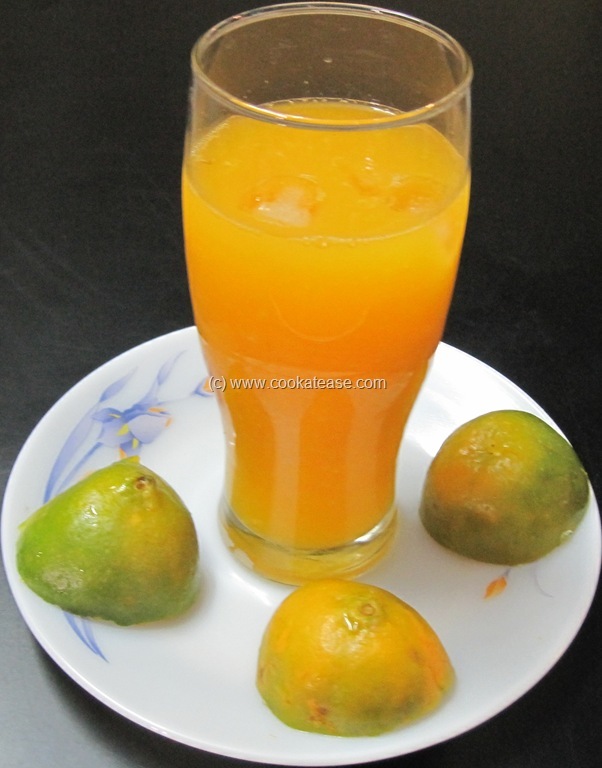 Orange is known as Santra in Hindi. Nagpur is well-known for santra. 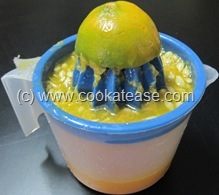 Add lemon juice, pinch of salt, sugar and cold water; mix well and serve. If needed add few ice cubes while serving. The salt and sugar added helps to avoid acidity as orange is a citrus fruit. Very refreshing drink, feel like having that glass rite now..
that’s my ever-lovable energy drink and my vitamin for every day!!! I’ll always need it!!! There is two more types of organes available in my country. And other one is varanica organes specially it is for Juice its little tingly and organe in color and little smaller then the naval organges. This two fruits is not available in india because this is coming here from Africa in middle east.